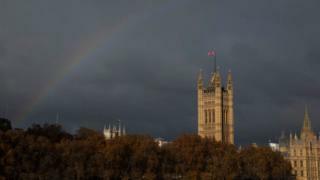 MP’s need to stop “chasing rainbows” when it comes to resolving the Brexit impasse, according to the British Chambers of Commerce (BCC). Brexit uncertainty is already doing “real world damage” to the UK economy, the BCC’s Adam Marshall is expected to say later. As a result businesses are “angry and frustrated”, he will tell the BCC’s annual conference on Thursday. However, none the eight proposed Brexit options put to MPs on Wednesday evening secured a clear backing in the series of votes aimed at finding consensus. MPs, including the deputy prime minister, David Lidington, Liz Truss and Keir Starmer, are scheduled to speak at the BCC conference. “To Westminster we say: We are frustrated. We are angry. You have let British business down. You have focused on soundbites, not substance. Tactics, not strategy. Politics, not prosperity,” he is set to say in a speech, the text of which has been released. He will warn specifically against the dangers of a “no-deal” Brexit, criticising MPs who “shrug off the possibility of shortages that could affect the well-being and the jobs of many people”. Even if a “no-deal” exit from the EU is avoided, damage is already being done to the economy, he will say, including lost orders, contracts not being renewed and investments being postponed or cancelled. Mr Marshall will warn that jobs are likely to be lost, due to the slowing global economy as well as the impact from Brexit.